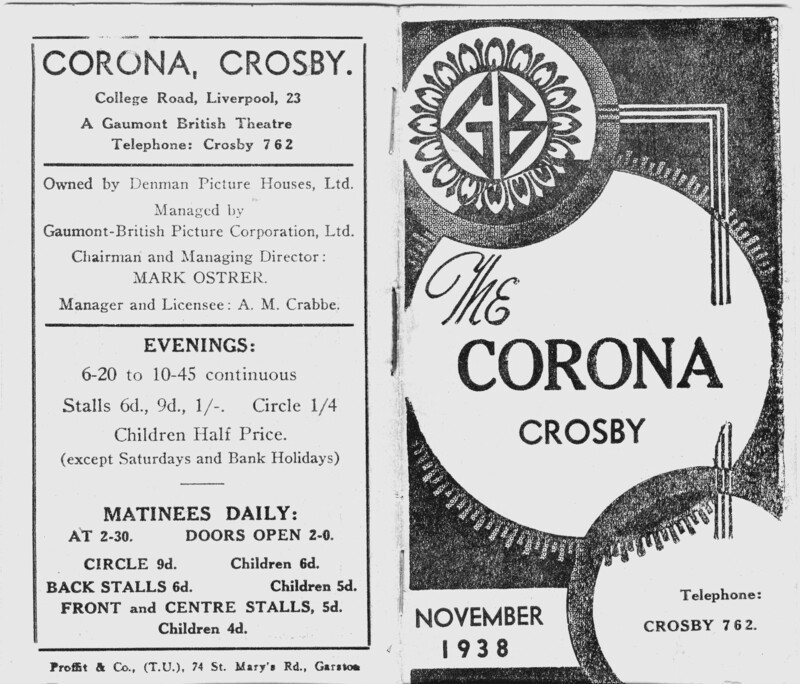 The Corona was opened in 1920 following several years in development halted by the outbreak of The First World War. 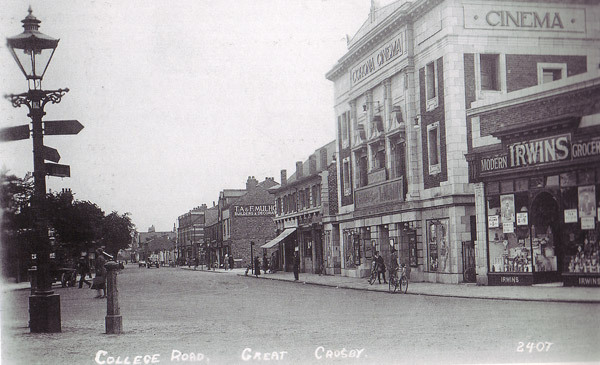 The site had long been known as an entertainment venue and had previously been known as Marsh Fields hosting Lord Sanger’s travelling Circus and troupes of pierrots and travelling fairs. 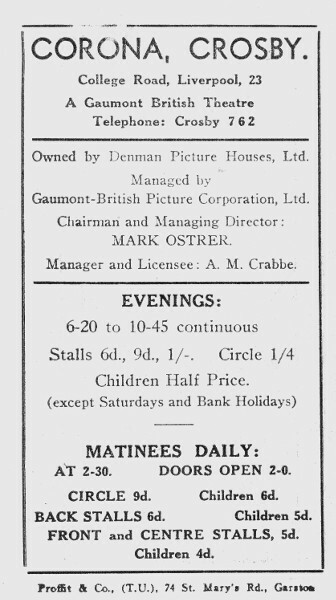 The cinema was opened on 21st May 1920 and was originally built for a small group company but handed over to the larger GB Circuit in 1928. 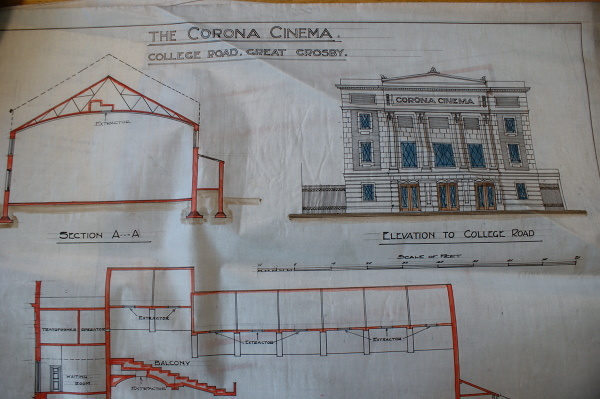 The cinema was a large white building and had the name The Corona Cinema in gold letters at the top. 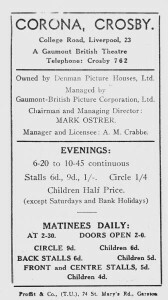 From when it opened the cinema had an orchestra which would accompany the silent films, as cinemas at that time didn’t have sound systems or speakers like they do now and narrative of the film would be shown via text on the screen. Page boys would be employed by The Corona and carry sandwich boards around the area promoting the latest films and coming attractions. The Corona was the first local cinema to be equipped for sound on March 31st 1930 showing the ‘Great Gabbo’ featuring Eric von Stroheim and Betty Compson. 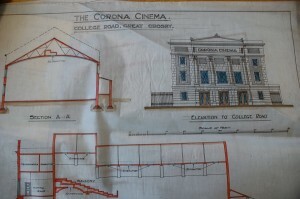 It was known locally as the “Talkie House with Orchestra.” The Corona had strong competition from other local cinemas. 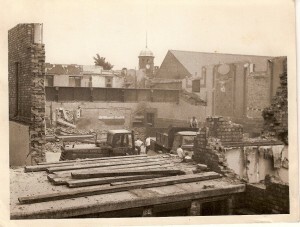 In 1942 the nearby Plaza and the Corona were owned by the same company – Circuits Management Association, and the Corona was the first suburban cinema in this chain to close. 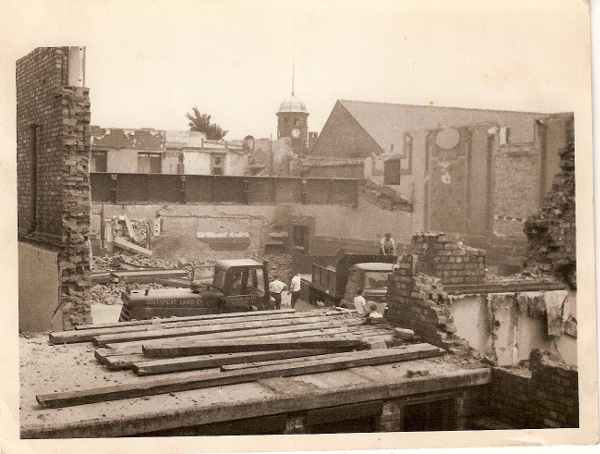 The Corona closed as a cinema in 1957. It then became a dance hall and was later demolished. 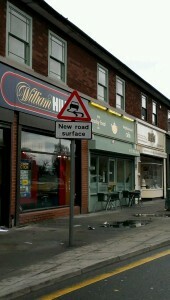 Now shops stand in its place.